■ Quarterback Josh McCown talked about how the Browns should ''bottle and save'' parts of the game. He especially meant the first quarter, during which Travis Benjamin ran a punt back 53 yards for a touchdown. And Charles Gaines picked off a pass from a frenzied Jameis Winston to set up a field goal. And the Browns had an 80-yard touchdown drive chewing up 16 plays and9:37. ■ Watching what the Browns did to Winston gives you a taste of what McCown dealt with last season in Tampa Bay. The Bucs' offensive line was rated one of the worst in the NFL by websites such as profootballfocus.com and Football Outsiders. The No. 1 pick in the draft, Winston was sacked three times. He was hit three other times. The rookie from Florida State played only 2½ quarters and threw the ball reasonably well when he had time — but that was not very often. ■ The Browns recorded six sacks in this game. Desmond Bryant was seemingly unstoppable early on. He was credited with 1½ sacks. On another play, he hit Winston's arm as the quarterback threw a pass. Paul Kruger, Danny Shelton, Chris Kirksey, Karlos Dansby and so many others had very good days. I love how Dansby stopped running back Doug Martin on a third-and-1 play in the second quarter. The veteran linebacker delivered a jarring tackle for a 1-yard loss to force a punt. ■ The preseason is so hard to judge, though. Last Monday, Tampa Bay soundly defeated Cincinnati, 25-11. The Bucs looked great in that game and terrible this week. For Browns fans, the good thing to remember is that both coaches treated the first half and part of the third quarter as a tune-up, with most of the starters remaining on the field. ■ The Browns' strong pass rush helped the secondary. Veterans Joe Haden and Tashaun Gipson played their first preseason games of the season. They were on the field for only 10 snaps, as the coaches wanted to limit their exposure. Pierre Desir got hurt (concussion). Justin Gilbert (hip flexor) didn't play. Charles Gaines had a big game until he left with a hamstring injury. But the secondary played well despite all the missing players. 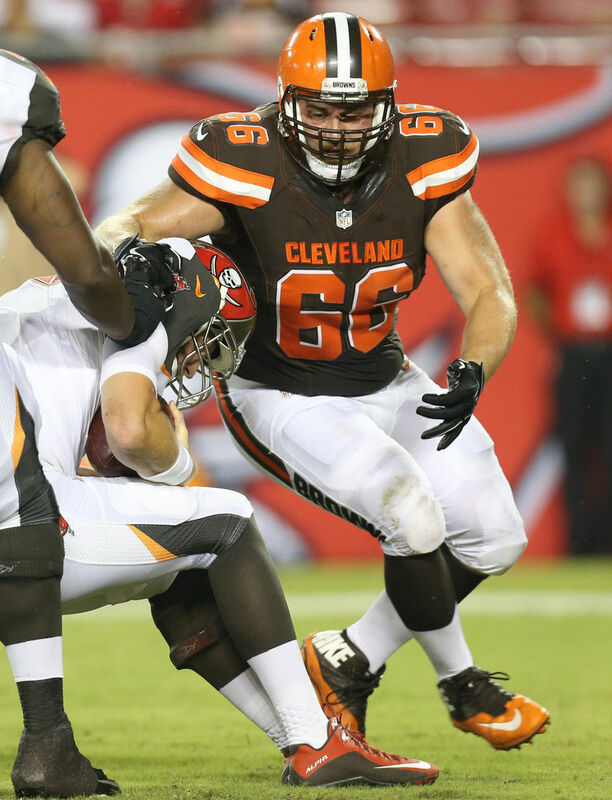 ■ Valley Forge product Jamie Meder had another sack and five tackles. The 310-pound defensive lineman has had an extremely strong camp. If he doesn't make the Browns, he should find a spot on another roster. The former Ashland University star is impressive. ■ Coach Mike Pettine talked about the defense being ''turned loose'' to ''go out and go hunting'' in terms of putting pressure on the quarterback. The Browns did just that for the first time in this preseason. ■ McCown's final numbers for the preseason: 29 of 38 passing (76 percent), with three TDs, two interceptions and a 92.8 rating. He will not play in the fourth game. ■ I don't want to hear McCown talk about being ''a competitive guy'' and wanting to ''lower my shoulder'' when running for a first down. The Browns' quarterback situation is scary in terms of depth. Johnny Manziel (sore elbow) is out at least for the rest of the preseason. Connor Shaw (thumb surgery) is out for several months. The last thing the Browns need is their 36-year-old quarterback trying to prove some type of point against his old team by taking needless chances running the ball. And remember, this is the preseason. ■ McCown took three very hard hits when running the ball in Tampa. He was hit two other times after throwing a pass. That happens. Quarterbacks will be smacked when trying to make throws from the pocket. And Pettine was correct in saying the pass protection had some problems. It did in Tampa as well as last week when the Browns faced Buffalo. ■ Pettine half-joked that McCown is ''foolish'' for some of the runs. But I don't think the coach liked it. McCown did miss five games last season with a thumb injury. ■ Thad Lewis was very solid in relief, completing 4 of 5 passes for 66 yards. He ran for a 7-yard touchdown. He had the team organized. Lewis will play a lot in the final preseason game in Chicago on Thursday. He is the backup right now, and the Browns need to get him ready, as they aren't sure when Manziel's elbow will allow him to play. ■ The backs still didn't run very well. Isaiah Crowell and Terrance West were a combined 53 yards rushing in 15 carries. Duke Johnson carried the ball once for 4 yards. He suffered a concussion later in the game. So the rookie from Miami is out again. He had missed most of camp with a hamstring injury. ■ Taylor Gabriel caught four passes, and the second-year receiver drew raves from Pettine. The coach talked about how Gabriel knew all the plays from the different receiver spots. He praised Gabriel's excellent hands and route running. ''He's one of our most consistent players,'' Pettine said. ■ Travis Benjamin has had an outstanding camp as a receiver. He leads the team with seven catches in the preseason. It was a relief to see him return the punt for the touchdown, because he looked confident catching the ball, which was not the case last season. We give the nod to a few Bengals players whose contributions may have been overlooked in the team's 21-10 win over the Bears on Saturday night. Cast your vote and sound off on your winner! While the MVP and Unsung Hero pieces are usually ones that honor individuals, sometimes an entire position group is worthy of a tip of the cap. 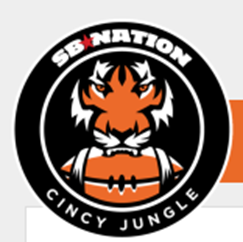 This week's "Unsung Hero" definitely provides the latter, as it was a true team effort in the Bengals' 21-10 win over the Bears. Cast your vote and sound off on your winner for this week's "Unsung Hero of the Week" award! The Offensive Line: One guy who stood out in this group was Russell Bodine for his immense improvement after a poor showing against the Buccaneers, but the entire group played well. The quarterbacks finished the half going 12-for-12 passing, which is a general statement of pass protection. The group ended up allowing two sacks on the night, but also paved the way for 145 net rushing yards. Penalties marred the night and kept them getting an MVP award, so the Unsung Hero designation seems fitting for them. HB/FB Ryan Hewitt: Man Crush alert! This guy gets in there to knock heads, as evidenced by his standing up of Shea McClellin on Jeremy Hill's 26-yard run. As if the blocks weren't enough, Hewitt also added two catches for 11-yards. Hewitt seems to personify this award. RB Rex Burkhead: His versatility will not only pay dividends for the Bengals' offense, but could help shape the overall roster. Burkhead had two catches on the great opening drive, including an awesome, back-shoulder 25-yard grab against a linebacker while lined up in the slot. A lot of folks are really looking to what Burkhead's contributions will be in 2015. WR A.J. Green: After a bad night down south, Green bounced back nicely with two catches for 19 yards. His 15-yarder from AJ McCarron was a beauty, as he adjusted and made a one-armed catch that led to a touchdown drive. TE Tyler Eifert: Like the return of Marvin Jones, many believe having Eifert back will cure most, if not all of the offense's issues. 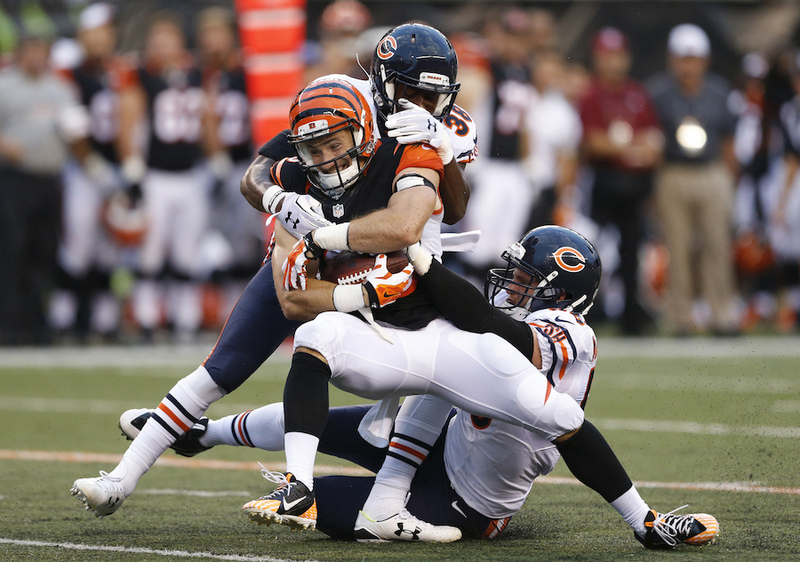 Eifert had two catches for 30 yards, including a 25-yard beauty that led to Jeremy Hill's touchdown run. The Secondary: Adam Jones had some nice plays, as did Dre Kirkpatrick and Josh Shaw. The group frustrated Jay Cutler into the third quarter, and allowed just 127 passing yards, 10 first downs and 10 points, as well as an 18 percent third-down conversion rate. It was a nice effort from a group who was abused by the big wideouts of Tampa Bay. DE/LB Chris Carter: Usually, the Bengals aren't very creative with the "'tweener" guys.Dontay Moch fizzled out and James Harrison was out of his element in Cincinnati. But Carter (not the guy who only catches touchdowns) has found a nice preseason niche. He has three sacks in three preseason games, along with multiple other pressures. One came on Saturday night against the Bears and he could be grinding his way onto the final roster. From Kyle Meinke's "Don't sleep on Detroit Lions OT Riley Reiff"
ALLEN PARK — There's this running joke among reporters that someone should start a segment called "Pulling teeth with Riley Reiff." Because the man doesn't say much. The Detroit Lions' left tackle has a strong aversion to the media — he has yet to speak to a reporter since the start of camp — and from all accounts isn't much of a talker behind closed doors either. Even on the field, Rieff has a quiet way of going about his business. Think about it. How many stories have you seen about Rieff since the start of camp? And this man plays left tackle, among the most important positions on the team. That's due in part to his reticent nature — but also to his quiet efficiency on the line. While Detroit figures out what it has at left guard, and center, and right tackle, it already knows what it has in Rieff, who is entering his third season as the full-time starter at left tackle. And it likes what it sees. "He's performed well," coach Jim Caldwell said. "He's done a nice job in his pass protection, nice job of run blocking and he's playing like you would anticipate him to play. He doesn't make many mistakes." Reiff has had a strong camp, despite his low-profile. That includes some titanic clashes with defensive end Ezekiel Ansah during one-on-ones. Ansah is one of the best young pass-rushers in the game. He has more sacks (15.5) than anyone else in his draft class. This guy is an athletic freak who has gotten the best of a lot of offensive linemen the past two years. Yet Reiff has stoned him again and again and again during one-on-ones. He's lost a handful of those battles, but won the majority. "That's a clash of the titans," right tackle LaAdrian Waddle said. "Reiff is a brawler, and battles to the end, and every time, especially going against Ziggy, that's what you have to do. Because Ziggy is a freak athlete coming off the edge, and he's going to pack some power. "And Reiff is still doing his thing." Their battles have a way of getting heated, and sometimes seem almost personal. 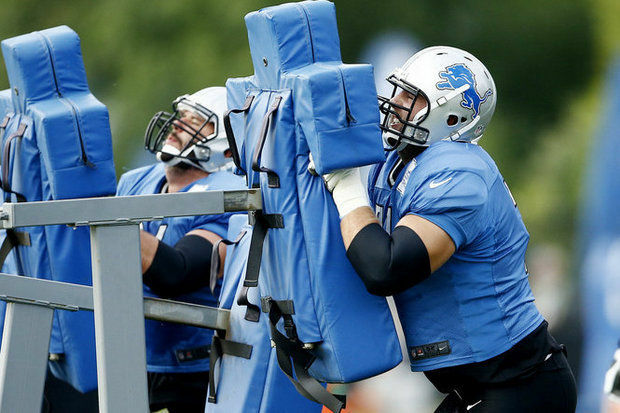 In fact, Ansah and Reiff appeared to nearly come to blows during one sequence in OTAs. So they're definitely not taking it easy on each other. Yet Reiff is winning most of the battles. "The old saying in the Bible says, 'Iron sharpens iron,' and I think you get that from Ziggy and Riley," Caldwell said. "They look forward to working against one another, they challenge one another and I think obviously it makes them better." Reiff doesn't seem to be doing a whole lot differently this season. He hasn't made a significant physical leap, like Caraun Reid, or a significant mental leap, like Darius Slay last year. Larry Warford, and Reid, and Waddle, and even Caldwell, could not point to one major improvement since last season. They all echoed a similar refrain: He's just kind of improved everywhere. The biggest improvement seems to be one of the smallest things, which is his handwork. "With Reiff, I think one of the problems he brought up he wanted to work on was how he drops his hands at contact," Warford said. "And with this practice we've been having in training camp, he's carrying his hands a lot better. He's striking a lot cleaner, and that's just improved his game so much. "His sets have always been great. It's just the way he carries his hands. It's sometimes the smallest things with offense line play that can screw up your game. And the way he carries his hands has improved his game a ton." All he's done is put his head down and done his job — and from all accounts, done it very well through training camp. To the point where some are wondering whether he could still mature into a top-tier left tackle. "Hell ya he can do it," Warford said. "There are a few guys on our team who could do it, and he's definitely one of them. He has all the makings of a great tackle. He just needs to keep progressing. "Like you said, he's out here battling Ziggy every day, and that's one of the better pass-rushers in the league. What better way would there be to get to that level?" One of the most pressurized jobs in America is head football coach of an NCAA Division I university. In the PAC-12, every head coach deals with more than drawing plays. He has to recruit, hire a top notch staff, draw community interest to fill the home stadium, keep the players who don’t play right away happy, maintain or rebuild a winning tradition, challenge for a national title and finally, convince the community that they’re there to stay even if a luscious offer from another university gets placed on their table. Coaching is one of the reasons why the PAC-12 has been on the rise. Eight PAC-12 leaders led their teams to a bowl game last season. The other four who were left out still tasted success at previous stops. But who are the top coaches to play for in the conference? This was a hard list to compile considering that most of these guys have done more than maintain a winning culture or resuscitate a struggling program. Nevertheless, here’s the top PAC-12 head coaches heading into the 2015-16 season. Before he arrived at Tempe, ASU was an underachieving team. Since taking over, the Sun Devils have averaged nine wins per season while contending for the PAC-12 South crown with Arizona, UCLA and USC. He’s not only won with top 25 recruiting classes, but has reeled in immediate impact freshmen like defensive tackle Tashon Smallwood, outside linebacker D.J. Calhoun and inside ‘backer Christian Sam. He also has a future head coach in the making in offensive wiz Mike Norvell. Lastly, Graham snatched three prominent Class of 2015 California recruits in quarterback Brady White, defensive end Joseph Wicker and defensive back Stanley Norman. All three turned down offers from the Big 10, Southeastern Conference and pledges from ASU’s coastal conference rivals to join the Sun Devils. Like Graham, Mora took control of a Bruins program in need of a winning attitude. He now has UCLA contending for PAC-12 titles, beating chief rival USC and averaging six conference victories per year. The former Atlanta Falcons and Seattle Seahawks head coach has been a hard-nosed recruiter too. He’s locked in the top quarterback in the state in Josh Rosen, 5-star outside linebacker Kesian Lucier-South and 4-star wideout Cordell Broadus, who turned down his father Snoop Dogg’s favorite college team USC to join Mora. Shaw and Stanford had a down year at 8-5 last season, but his past success places him in the top three. Shaw has taken the Cardinal to Rose and Fiesta Bowls since succeeding Jim Harbaugh in 2011. Against the PAC-12 slate, Shaw has helped the Cardinal take down conference heavyweights Oregon, USC and UCLA. On the recruiting trail, Stanford has ranked in the top 25 annually under Shaw’s direction. He was once ran out of Ann Arbor after a tumultuous three years at Michigan. But Rich Rod has revitalized his career nicely in Tuscon, as he’s turned the Wildcats into a rising PAC-12 power. Rodriguez’s Arizona resume includes a PAC-12 title game appearance last season and upsets over USC and Oregon when both were ranked in the top 10. Before transitioning to the PAC-12, Whittingham and Utah enjoyed years of dominance in the Mountain West that included bowl streaks and upending Alabama in the 2009 Sugar Bowl. Since then, Whittingham has created Utah into a conference powerhouse after four years in the PAC-12. Stunning wins last season against UCLA, USC and Stanford substantiates that the Utes are on the rise. Whittingham, who was once an assistant under former Utah head coach Urban Meyer, has taken his team to eight bowl games in his 10-year run at Salt Lake City. Helfrich took the electrifying Ducks back to the national title game, but their championship hopes got trucked by a physical Ohio State team. The big question is can Helfrich elevate Oregon to places that Chip Kelly couldn’t do in Eugene, such as winning a national title? Oregon continues to produce highly ranked recruiting classes and boast top notch facilities, but Helfrich must prove that he can replace Marcus Mariota at quarterback and continue Oregon’s streak of success. The talent remaining in Eugene should keep Helfrich and Oregon in the top 10 polls. Petersen – with limited resources and overlooked recruits – turned Boise State into a household name in college football by winning Western Athletic Conference titles and two Fiesta Bowls. At UW, Petersen has more talent to work with based on the pieces that predecessor Steve Sarkisian left behind. But this season could be more challenging with replacing Shaq Thompson and perhaps starting a true freshman at quarterback in Jake Browning. Still, Petersen is considered one of the brightest and most work-friendly head coaches to be around. Coach Sark’s main task at Washington was turn the Huskies into a bowl contender again, especially in the aftermath of the disastrous Tyrone Willingham era and following the controversial Rich Neuheisel tenure. Sarkisian did just that by getting UW back into December bowl games. Now, he’s being counted on to take a USC program that was once rocked by NCAA sanctions to national title victories again. If USC emerges as a challenger for both the PAC-12 championship and college football playoff, look for Coach Sark to move up on this list. Andersen is the rookie coach in the PAC-12 this fall, but considering his past success, he could turn the underachieving Beavers into a competitive bunch right away. Andersen took a laughingstock Utah State team and turned the Aggies into a perennial bowl unit by going 26-24 there. He then continued his success at Wisconsin before having differences in opinion with university administration; particularly with athletic director Barry Alvarez. In Corvallis, Andersen will have a young team. An untested quarterback will likely line up behind center and only two starters return on defense. But if Andersen can win at Logan, UT., then he should have little problems turning around Oregon State. Dykes – who’s first season in Berkeley was a 1-11 disaster – has Cal on the move, as the Golden Bears became one of the conference’s most improved teams by going 5-7 plus losing four games by eight points or less. His offenses have been surgical against PAC-12 defenses, as the Bear Raid averaged 495.2 yards per game last season and scored 38.3 points per game. Dykes returns a possible Heisman Trophy finalist and first round pick in quarterback Jared Goff this fall. After leading Texas Tech to an 84-43 mark in his 10 years at Lubbock, TX., Leach has had a rough transition in Pullam. His best season was a 6-7 mark in 2013 that concluded with a trip to the New Mexico Bowl. But the Cougars fell to 3-9 last season. There’s also this significant recruiting loss: 3-star quarterback Ian Book of Oak Ridge in El Dorado Hills, who verbally pledged to Leach and WSU in April 2015, has since de-committed and joined Notre Dame’s 2016 class on Aug. 4. McIntyre does provide this glimmer of hope for the Buffaloes’ fan base: four losses last season were decided by a margin of five points or less. But that means CU would’ve finished 6-6. Granted, McIntyre has inherited a Buffs team with little talent left behind by former coach Jon Embree, plus a program that hasn’t recovered from the controversial Gary Barnett regime. If McIntyre gets his guys to finish football games this fall, CU could see a 13th game come December, which hasn’t happened since 2005. 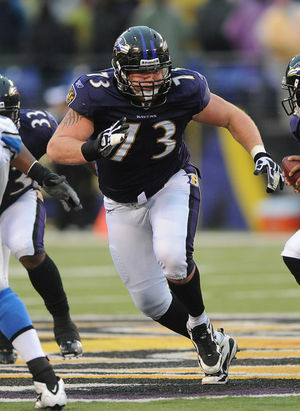 Voted by fans as a top-10 Raven, Yanda answered 20 questions as part of the 20th season anniversary celebration. 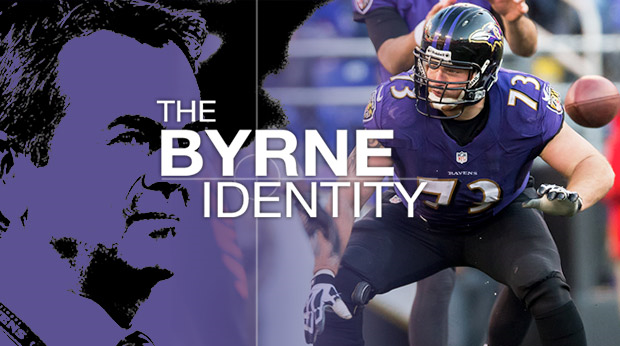 We asked our season ticket holders to select the 10 best players in our history, and Marshal Yanda, who has made four consecutive Pro Bowls, finished in that group. Each of the 10 is featured on a home game ticket and game program cover. 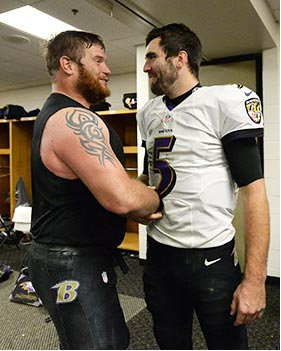 Yanda is our “cover boy” for next Thursday’s game against the Saints. 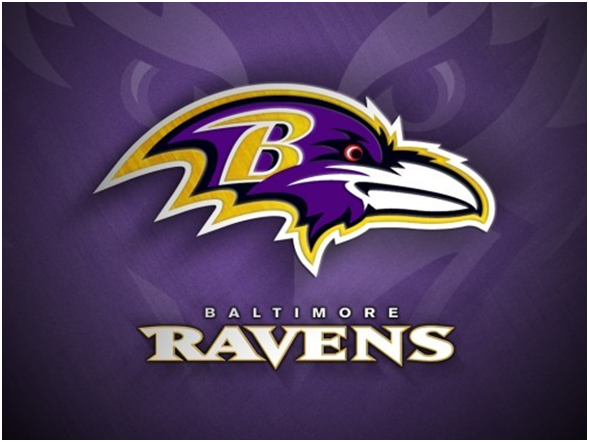 1 – What Does It Mean To Be A Raven? 2 – What Was Your “This Is The NFL” Moment? 3 – What Makes You Smile? 4 – What Irritates You? 5 – What Kind Of Kid Were You? 6 – What Scares You Now? 7 – What Scared You As A Kid? 8 – Favorite Halloween Costume As A Kid? 9 – Favorite TV Show? 10 – Last Movie You Watched? 11 – Last TV Show You Recorded? 12 – If You Were A Super Hero, What Power Would You Want? 13 – Favorite Sport Outside Of Football? 14 – Do You Believe In The Afterlife? 15 – Who Is Your Hero? 16 – Your Most Memorable Ravens Game? 17 – Most Memorable Teammate, Including All The Way Back To High School? 18 – Best Player You Ever Faced? 19 – Team You Most Like To Beat? 20 – Where Is Marshal In Five Years? 10 Years? That’s 20 with Marshal. Thanks big man.